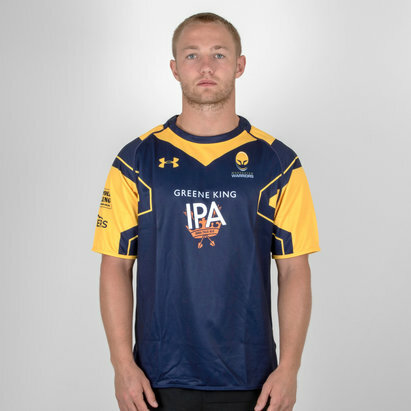 Cheer on Worcester Warriors for the fourth season in the rugby union Premiership, now known as the Gallagher Premiership, with their 18/19 home replica shirt from VX-3. 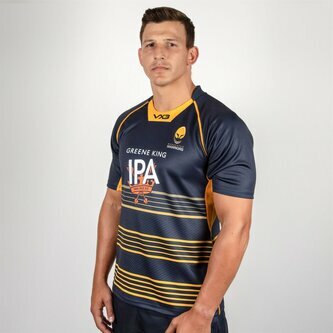 The Premiership's Worcester Warriors have designed a shirt with sportswear company VX3 where the home shirt reflects their traditional colours of blue and gold. 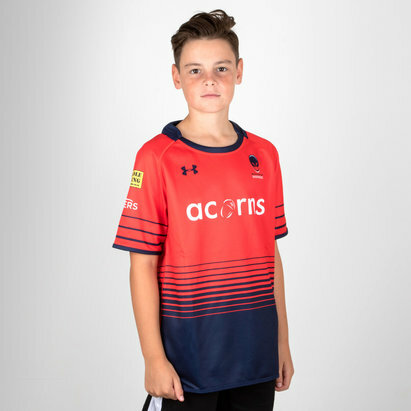 This shirt comes with a modern twist as decided by players Ryan Mills and Luke Baldwin who collaborated to guarantee their kits were made specifically with Warriors spirit. 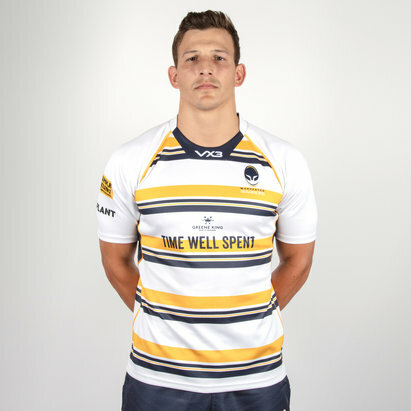 This shirt is dominated by the club's traditional navy blue and has golden bars running across the front and back of the shirt. 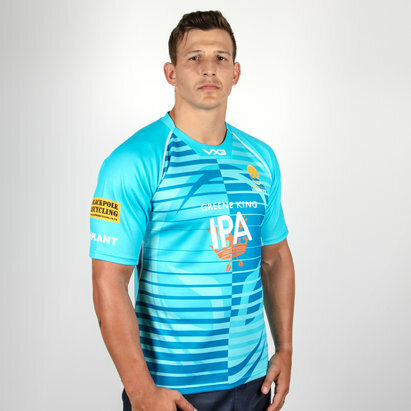 Gold is also featured under the arms and around the neck of the shirt. 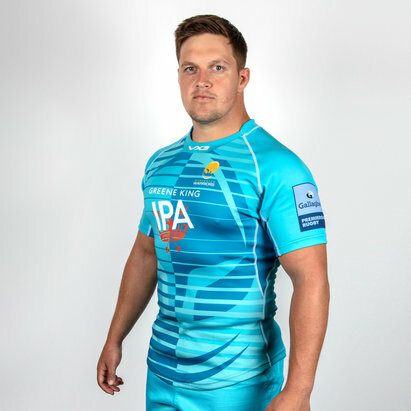 The clubs badge is on the left of the jersey as worn with the VX3 logo around the neck. 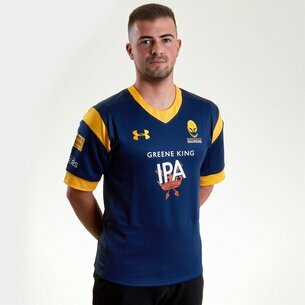 The club's sponsor - Greene King IPA - is across the middle. 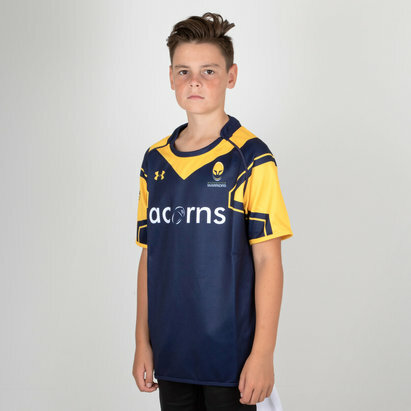 The perfect jersey to support the warriors at the Sixways Stadium or on the road.